Even though the weather here is still warm (and hot some days), I've found myself thinking about what I'd like to make for my Autumn wardrobe. I've been Pinning a few things to my Autumn Wardrobe Ideas Pinterest board, and thought I'd share a few of them with you. One look I'm really keen on is a floral dress topped with a chunky cardigan, something like these. Ok, so there's no cardigan in the third one, but isn't the dress pretty? I like the chunky cowls in the first two photos as well. 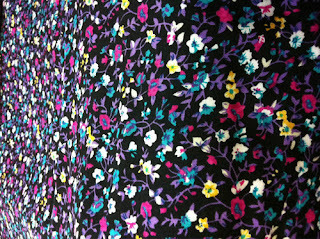 I've bought some floral viscose to make one dress, possibly a dress length Mathilde. And I love this fabric by Rebecca Bischoff. It's Blythe Roses in the Sunset colourway. I think this would look lovely as a Colette Laurel or something similar. 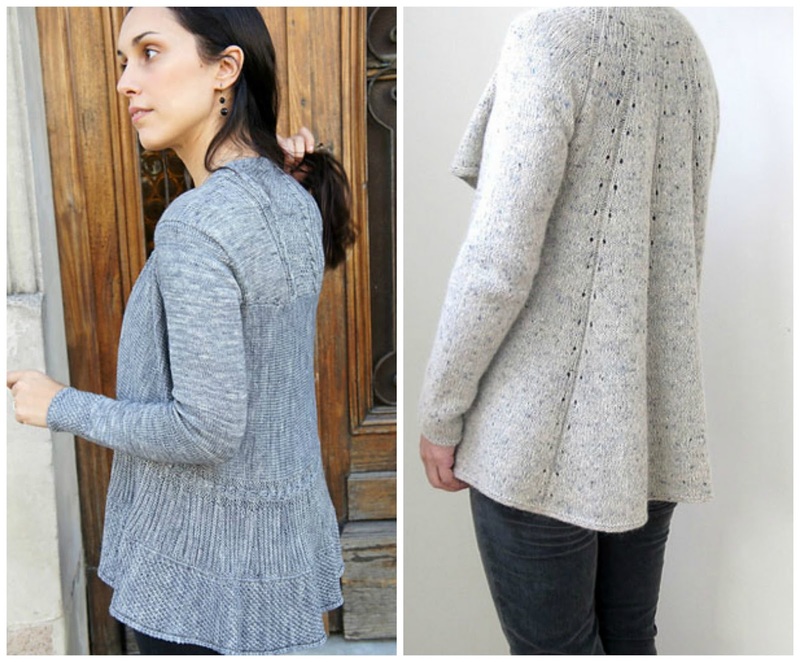 I also have a couple of cardigan patterns picked out. The one on the left is Meridien by Joji Locatelli, and on the right is Storm Mountain by Heidi Kirrmaier, both available on Ravelry. I've actually started on Meridien in a lovely violet wool/nylon mix yarn. I also have yarn that would be suitable for Storm Mountain. 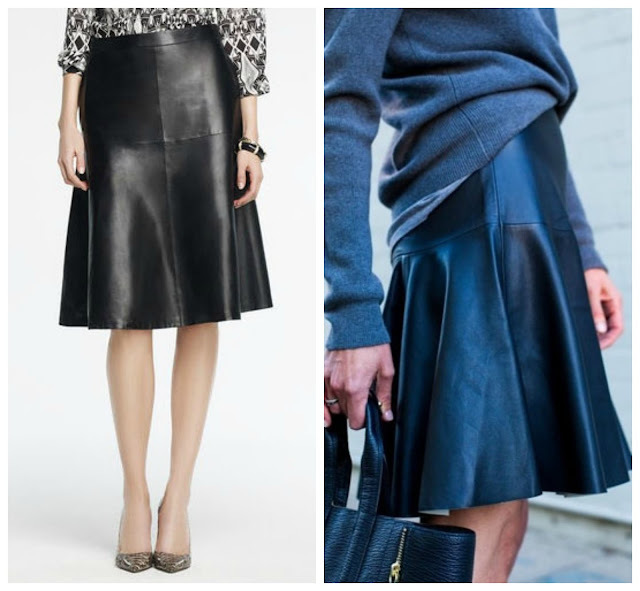 The other look I really like, which might be more wintery, is a black leather flared or A-line skirt. I actually have a flared black "pleather" skirt that I bought last year, but I've lost a bit of weight and I think it will be too big this year - it wasn't exactly tight when I bought it. I don't really have a pattern in mind yet, I might even try and draft one myself based on my existing skirt. I've also got plans for another coat this year, it will be this Burdastyle one, in navy wool/cashmere/poly blend. Have you started thinking about Autumn/Winter projects yet? I'd love to know what you're planning. Waistcoats. I figured I needed some warm layers I could wear over an office shirt but not restrict my arms and so the great waistcoat scheme was born. I've already made one and am planning at least one more, as and when I can find something nice and warm to make it out of. Those cardigan designs look gorgeous ... wish I could knit. Waistcoats are a great idea for a warm layer that doesn't restrict movement too much. Thanks Carolyn. I do love floral dresses for the Autumn/Winter with a nice pair of boots. I've been sewing along with this for a year now and I find it cuts down on the orphans in my wardrobe. Basically you sew two bottoms, a skirt and trousers or whatever suits you, three tops and a an overlayer, a coat, jacket or cardigan. You choose a dark neutral top and bottom, a light neutral top and bottom, a top in a linking print and a jacket, coat whatever, in a colour that pulls it all together. You can sew a dress instead of a top of course. I can see a wardrobe that would include your floral dress, the leather skirt and the cardigan. I hadn't thought of that idea. I'll go and take a look at your link. It would definitely stop me ending up with a wardrobe full of orphans. I know exactly what you mean, the evenings have felt a bit cooler and I've been thinking of autumn too. 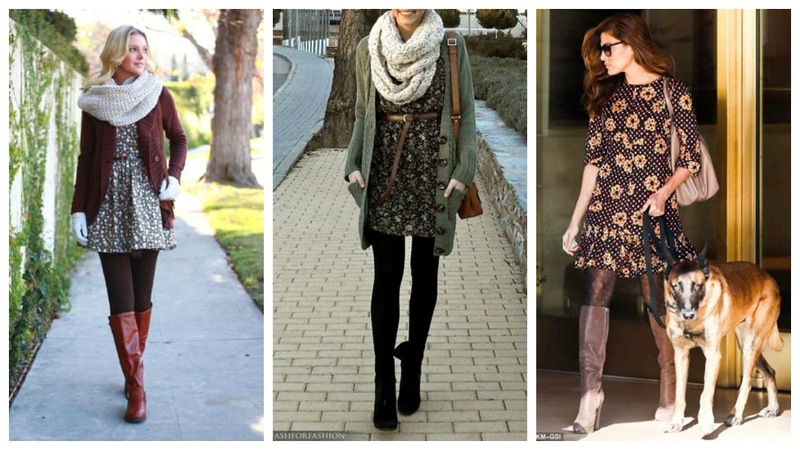 The floral dresses with chunky knits look super, I love the layers. 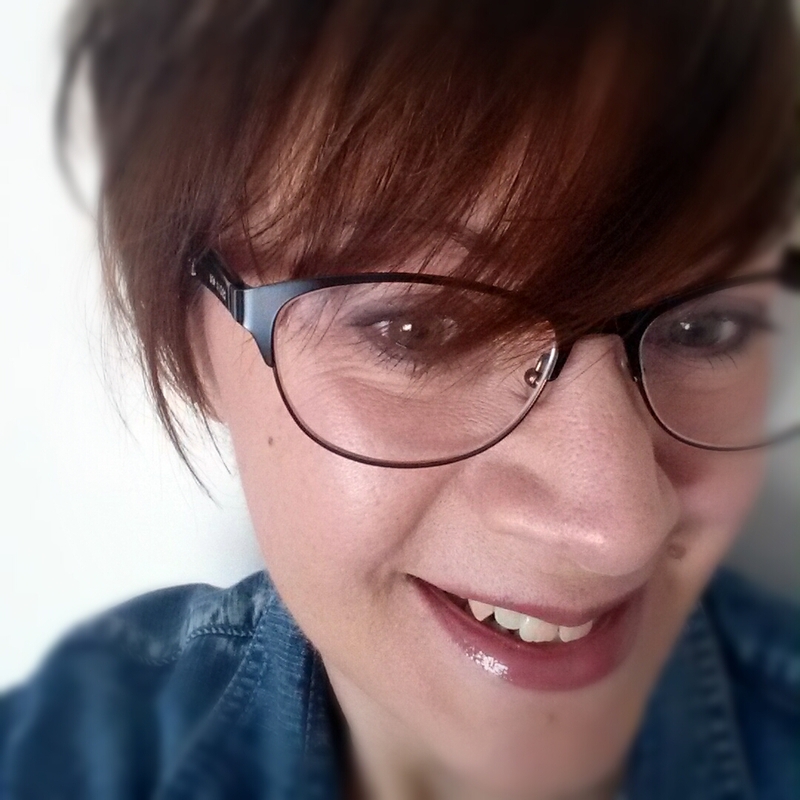 I love spring and and autumn - boots and layers but not so cold you're swamped in clothes with your shoulders hunched up to your ears! 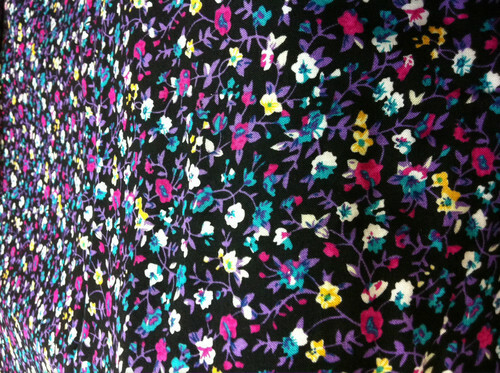 The Blythe roses fabric is utterly gorgeous btw, such beautiful colours. I actually can't wait to start wearing Autumn clothes - I think it's my favourite time of year clothes-wise. 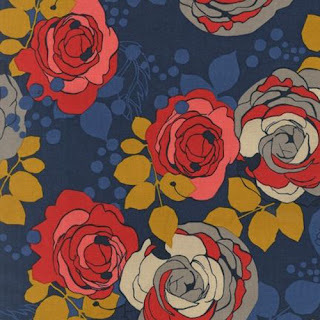 That Blythe Roses fabric is gorgeous, isn't it? I think some of that might be my birthday present to myself. I've seen a few dress length Mathildes around and I am so tempted to make one myself so I encourage you to as well! It's Spring where I live so I'm busy planning floral dresses and knit crop tops to wear with high waisted skirts. By Hand London Anna Dress - I'm in love!